Step by step tutorial on how to create Ionic 3, Angular 5, Firebase and Google Maps Location Tracking like Uber App. 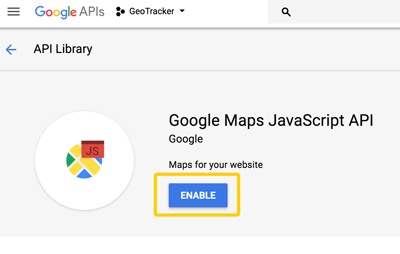 A comprehensive step by step tutorial on how to create Ionic 3, Angular 5, Firebase and Google Maps Location Tracking like Uber App. This app simply works for tracking geolocation of devices what run this app then display to Google Maps. Every running app will send current Geolocation to Firebase database and get all Geolocation of other devices that run the same app from Firebase database. Previously we have created a tutorial about Ionic 3 Google Maps Direction Service, you can learn the basic from there. On the Firebase we just put a simple data structure contains UUID, Latitude, and Longitude. Each device that uses this app will have only one record. It will be updated in real-time when Geolocation updated. That's the last version when this tutorial was written. For update Node.js and it's `npm` download from Node.js and choose the recommended version. For Ionic 3, type this command. For Cordova, you can install it later before adding the platform. Click Settings (Gear Button) on the top left side of Overview then choose Project Settings. 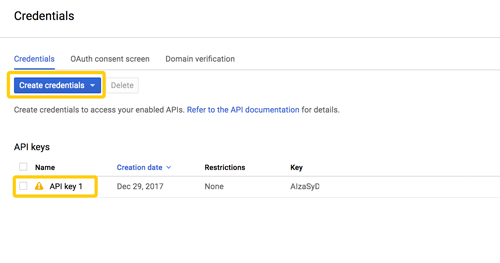 You will find API key in here, make sure you copy it somewhere in your local directory. Open your browser then go to Google Developer Console https://console.developers.google.com/. 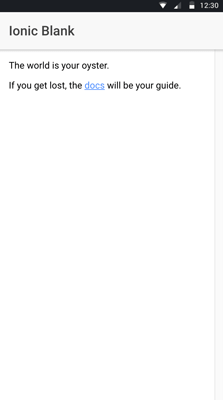 Click drop-down on the right of Google APIs logo then click `+` button to create a new project on the dialog. 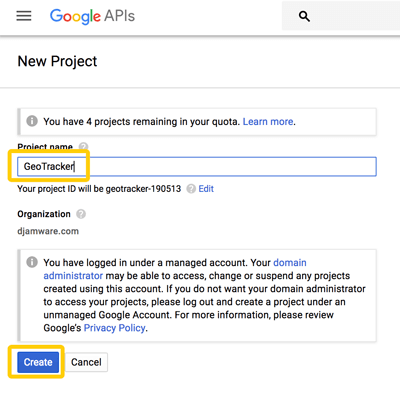 Give the project name `GeoTracker` then click Create button. 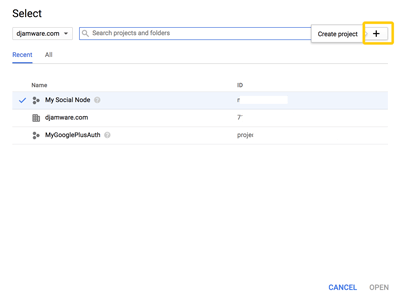 After enabling Google Maps then Go to Credentials page by click on Credentials left the menu then choose API Key. As usual, we always start the steps of the tutorial by creating a new application from the scratch. To create a new Ionic 3 and Angular 5 app just type this command in the terminal or Node.js command line. That command tells Ionic 3 to create a new Ionic 3 app with the name `ionic-geolocation-tracking` and generate a default blank template. Just wait few minutes for auto-installing Node modules. Now, go to the newly created folder. 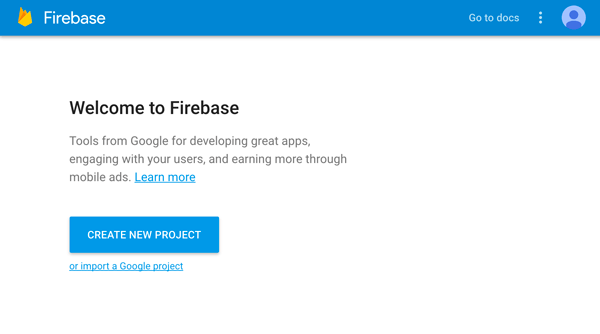 We are about using Firebase without `AngularFire` modules. Type this command to install it, before this stop the running app. Warning: please use above version `4.8.0` because we are facing an error on 4.8.1 version. Next, register the Firebase module in the Ionic 3 Angular 5 app by open and edit this file `src/app.component.ts` then add this import. Declare a constant variable for holds Firebase setting before `@NgModule`. To show a Google Maps to the app, open and edit `src/index.html` then add this line to the bottom of the HTML before the end of `<BODY>` tag. Next, open and edit `src/pages/home/home.html` then replace the content of `<ion-content>` with this tag. Now, open and edit `src/pages/home/home.ts` then modify this import. Declare Google variable before `@Component`. Add these variables below the Class name. Inject Ionic Platform to the constructor. Create this function to init or load the Google Maps. Call that `initMap` function inside the constructor wrapped by platform device ready. Now, you can load the Google Maps with just running Ionic 3 app on the browser. To install Cordova and Ionic 3 Native Geolocation plugin, type this command. Modify `src/app/app.module.ts` then add this import. Add Geolocation to `@NgModule` imports. Now, open and edit again `src/pages/home/home.ts` then add this import. Inject Geolocation to the constructor. Declare an array variable for holds markers before the constructor. Modify `initMap` function to load current location from Geolocation Native Plugin. Add this required functions for delete, add and set markers on the map. This time we have to remove/add Cordova Platform before testing on the device. Type this command to remove/add Cordova Platform. Now, test on the real device by type this command. You will see the Google Maps with default current location and marker. The data structure on the Firebase required UUID field which can achieve by installing Ionic 3 Cordova Native Device plugin. To install this plugin, type this commands. Modify `src/app/app.module.ts` to register Device module by adding this import first. Then add to `@ngModule` providers. Inject Device module to the constructor. For the Firebase database, add this import first. Add these variables below other variables that previously added. 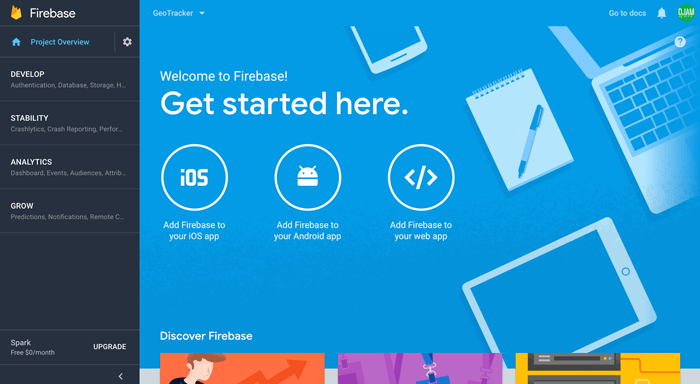 Create a new function for update/add Geolocation data to the Firebase database. Call that function inside watch position subscribe. To get the list of other device position, first, create this function below the closing of the Class to convert Firebase object to an array. Next, add this function inside the constructor for detecting Firebase data change then update the markers. Now, you can run again the app to multiple devices to see different locations for each device. That's it, this tutorial just the basic usage of Geolocation and Google maps markers for tracking device position on the maps. You can learn from the source code directly on our GitHub.